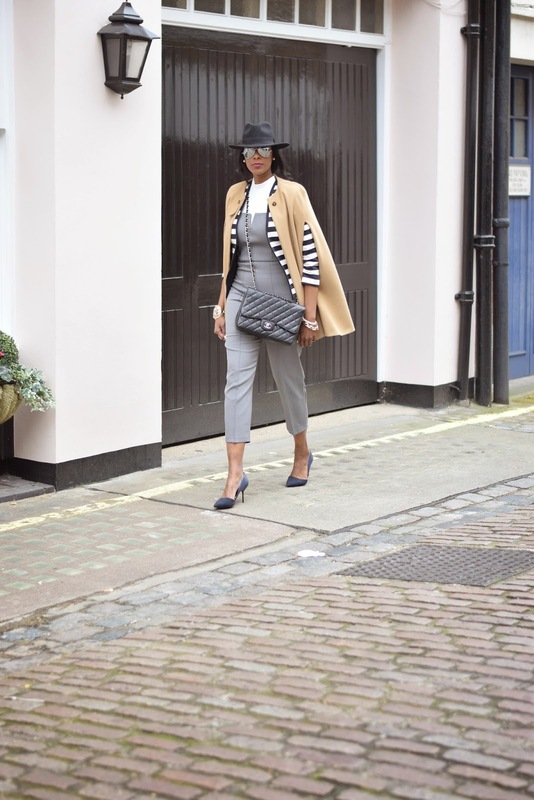 The one thing I love about jumpsuits is that they are the perfect piece that can take you from day to night, and this grey Rare London jumpsuit is definitely office worthy! Also the fact that this one actually fits is a bonus too. 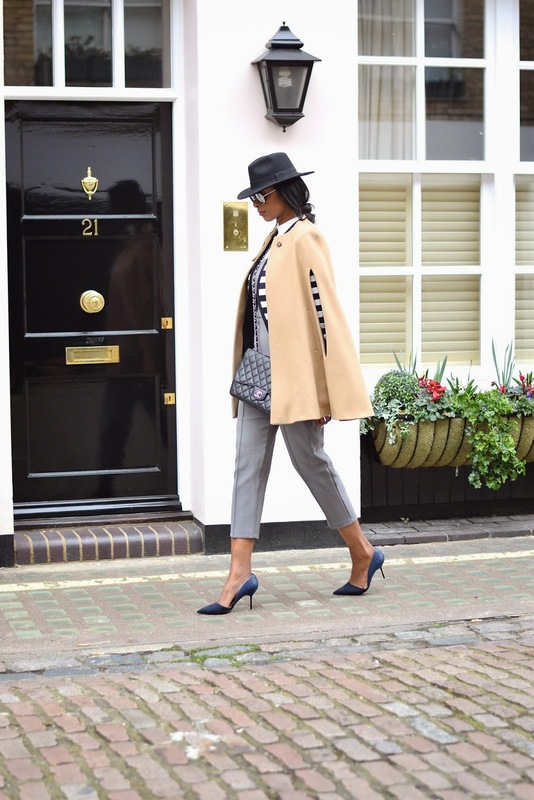 Today I'm styling this all in one with a sleeveless roll neck and cape coat, contrasted with a stripe blazer worn underneath. 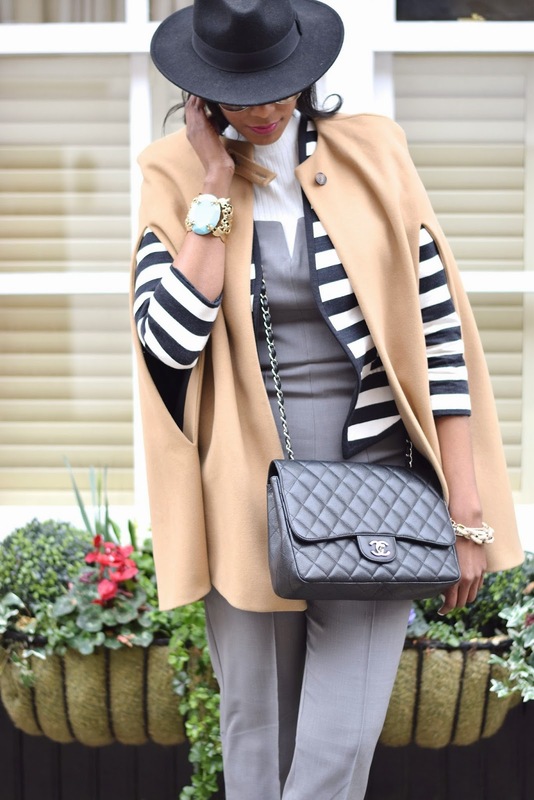 Wow I am lovinggg this layering here!!! That jumpsuit is seriously gorgeous!